Online stores as well as brick-and-mortar entities can outsource their logistics, warehousing, and shipping processes to competent order fulfillment services to save costs and enhance operational efficiency. Take a look at the following stats to understand this booming industry: The warehousing and storage industry in the US is currently estimated to be a $22 billion sector and it employs more than 600,000 people. In addition, the order fulfillment business adds $9 billion and another 60,000 employees. There are more than 10,000 US companies involved in the warehousing, storage, and order fulfillment industries. If an order fulfillment provider enables you to offer free shipping, your business will benefit greatly as these stats show: 93% of buyers are attracted by free shipping for a product. Delivery speed is an important factor considered by shoppers. 83% of shoppers are willing to wait for two or more days if a merchant offers free shipping. These facts and figures show how resourceful order fulfillment services can boost your customer satisfaction rates and bottom line. There are scores of quality order fulfillment vendors in the market which poses a dilemma about how to select a suitable service for your specific needs. We help you resolve the issue by detailing the key features and benefits offered by Fulfillment by Amazon as well as the top 10 alternatives to Fulfillment by Amazon in this article. The advantage of hiring Fulfillment by Amazon (FBA) is you can leverage Amazon’s vast network and quality infrastructure, and benefit by associating with their renowned brand name. FBA offers services such as customer support, returns and refunds, climate-controlled warehouses, fast delivery times, and quick processing. This provider is ideal for merchants that sell small items, those who utilize multiple sales channels, and those already doing business on Amazon. FBA takes care of all the important logistics and order fulfillment work leaving you to focus on boosting your business. In addition, its platform integrates seamlessly with popular eCommerce and shopping cart solutions to provide you greater flexibility. You can sell on Amazon as well as on other eCommerce platforms. Benefit from free shipping for FBA items. You get multilingual international customer support round the clock. Customers can return items if they are not satisfied. Provide an improved customer experience by leveraging Amazon’s proven expertise. Do business around the world by making use of Amazon’s global network of warehouses. If you wish to look beyond FBA at other options, we will still help you. Read on to learn the essential facts about the top 10 alternatives to Fulfillment by Amazon. FedEx Fulfillment utilizes its parent company FedEx’s established infrastructure to provide reverse logistics, transportation, fulfillment, packaging, and warehousing services to its clients. This vendor is ideal for small and medium-sized businesses that fulfill orders from websites and online marketplaces. These firms can utilize the service to integrate multiple selling channels and manage inventory. Top features of FedEx Fulfillment include analysis of shoppers’ spending habits, trend evaluation, real-time item tracking, and complete visibility on your products. This provider offers a smooth returns process, two-day shipping to most parts of the US, and same-day fulfillment cut-off times. Global retailers can benefit as they can fulfill customer orders in over 200 nations. If you wish to scout for more options, take a look at these FedEx Fulfillment alternatives here. 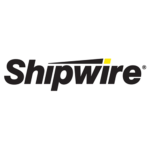 Why have we included Shipwire in this list of top 10 alternatives to Fulfillment by Amazon? One of the reasons is it is another good option for companies that do global business as this provider maintains warehouses in the US, Europe, Asia, China, and Australia, with more being built. This vendor utilizes a sophisticated warehouse management system to securely store, handle, and ship items on time to customers. The main benefit is you can reduce shipping costs as Shipwire can select the most suitable packaging options, routes, and couriers for your products. In addition, it uses custom as well as on-demand order fulfillment tools to support B2C and B2B sellers. Other advantages are you can choose your storage locations, calculate shipping expenses, make use of insurance policies, and promote your brand. For more good options, browse these Shipwire alternatives here. 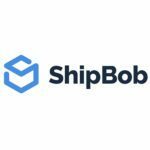 ShipBob is a recommended service for merchants in New York City, Los Angeles, and Chicago as it guarantees affordable same-day delivery for orders placed in these three cities. This provider offers two key services: physical logistics for warehouse inventory and order fulfillment; and a free software platform that sellers can utilize to manage orders, inventory, and customer communication. ShipBob is a fast-growing order fulfillment service because it charges low rates and provides speedy onboarding. Apart from the three metro cities, this vendor offers standard fulfillment in other US cities though its nationwide network of warehouses. In addition, it provides crowdfunding fulfillment support which sellers can utilize to simultaneously ship large amounts of pre-orders and backer rewards. 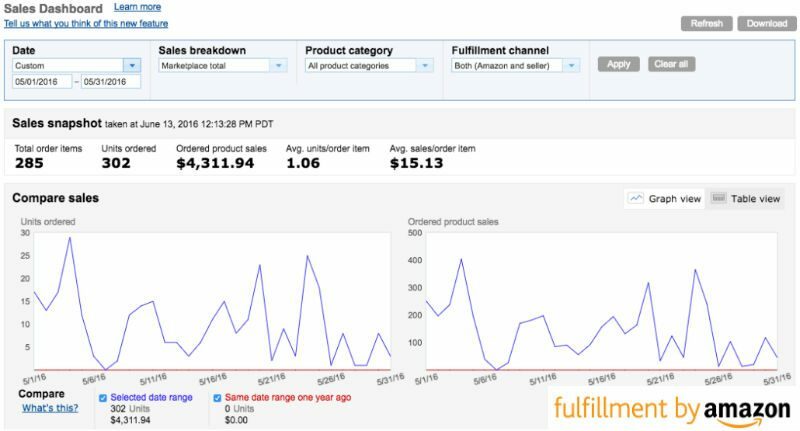 Finally, you get detailed reports on sales performance, split inventory, orders, and shipping. If you want a more international service, peruse these ShipBob alternatives here. Red Stag Fulfillment is a recommended service for products that need light assembly or customization before shipment, goods above five pounds in weight, oversized items, and high-value and fragile items. This provider stands out among the crowd as they offer a 100% guarantee for their inventory accuracy, order speed, order accuracy, and 48-hour dock-to-stock time. The main advantage of hiring Red Stag Fulfillment is it can ship heavy and oversize products at discounted rates as it leverages FedEx’s established transportation and logistics network. Plus, security is guaranteed for your products as the vendor utilizes start-of-the-art video-tracking equipment in its warehouses to prevent shipping damage, packing mistakes, and theft. They are so confident about the quality of their services that they offer to pay $50 to their clients each time there is a mistake. For more good choices, browse these Red Stag Fulfillment alternatives here. 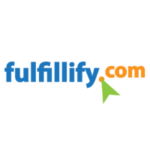 FulfillmentCompanies.net is a free service that sellers can use to find a suitable order fulfillment vendor in the US, Canada, and Europe. The company makes money by charging fees from suppliers after matching them with a customer. This firm has years of experience in researching and analyzing the storage, order processing, and pricing features of logistics companies, and helps you find the right fulfillment vendor for your outsourcing requirements. It vets fulfillment providers in a few minutes and quotes are offered to you via phone or email from pre-screened vendors. In addition, FulfillmentCompanies.net gives you a useful calculator tool that you can utilize to compare the costs of in-house versus outsourced fulfillment. Plus, you also get an extensive collection of guides, resources, and industry surveys on the fulfillment business. If you want to look at other choices, peruse these FulfillmentCompanies alternatives here. Fulfillify states that on average they ship more than 75 million items per year to customers around the globe. Sign-up is fast and setup is free. You are not required to enter into a long-term agreement giving you the freedom to switch to another provider any time. Fulfillify manages all the setup details and you can start utilizing a fully functional platform from day one. The platform is easy to use and allows you to track your products, inventory, and orders in real-time with any device. Plus, it can integrate smoothly with your existing shopping cart and eCommerce systems. In short, this vendor utilizes advanced mobile-responsive technology to provide top rate ordering, delivery, and storage services. If you are not satisfied, take a look at these Fulfillify alternatives here. IDS Fulfillment (IDS stands for Integrated Distribution Services) is a recommended vendor for sellers that wish to quickly ship products to domestic consumers in the US. This company states that it can reach 95% of the US population in 2 days. This is possible because its centers are located strategically all over the US mainland and are equipped with sophisticated technology. You can outsource a part of your fulfillment needs such as storage, distribution, or returns, or the entire process to this service. IDS Fulfillment is an ideal option for online sellers that wish to meet peak season demands as it provides optimized service and fast shipment times. This is possible because the provider stocks products in regional warehouses, and orders from your online store reach the nearest warehouse where employees work efficiently to quickly package and deliver the items to customers. If you want an international service, check out these IDS Fulfillment alternatives here. VelocityShip has built its own sophisticated software platform to help businesses effectively manage their order fulfillment, inventory, and supply chain processes. This platform automates the whole order process for enhanced accuracy, and integrates seamlessly with more than 60 shopping carts and marketplaces via a custom API. The vendor boasts that they can handle up to 10,000 orders per day allowing you to simplify B2B and B2C fulfillment by enabling you to quickly process multiple orders. Apart from bulk processing, VelocityShip is also recommended for special projects such as product labeling, inventory counting, crowdfunding fulfillment, subscription boxes, and others. This vendor enables you to promote your enterprise by branding packing slips with your company name and logo. For customer support, the vendor provides a dedicated logistics and shipping expert to each client who promptly resolves any issue that may arise. If you wish to look at other choices, here are some good VelocityShip alternatives. Ships-a-lot boasts an impressive inventory accuracy rate of 99.8% thanks to its sophisticated fulfillment centers where products are constantly monitored with tablet computers, barcodes, and scanners. This technology not only assures accuracy but also ensures security and accountability. Ships-a-lot promises shipping with a 24-hour turnaround and if a shipment is delayed they will compensate you with $20. For a flat $35/month fee, you can avail unlimited storage space and services. Simply place your orders using their online interface and the service will automatically take care of storage, packing, and delivery. In addition, the provider can customize their picking, packing, and shipping procedures for your specific needs. This allows you to choose only select services if you desire. If you are not satisfied, browse these good Ships-a-lot alternatives here. Rakuten Super Logistics stands out in the order fulfillment services market as it guarantees 100% accuracy. This is made possible by three separate quality checks. If an error still occurs, the service is delivered free of cost. 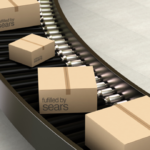 In addition to accuracy, fast shipment is also provided with 1-day order fulfillment and 1-2 delivery to 98% of the US. Rakuten also offers excellent customer support by guaranteeing an effective responsive within 3 hours of posting your query. In addition, their support team works closely with fulfillment facility liaisons who are placed in the same center where you products are stored. Finally, this vendor also offers value-adding services such as customer loyalty program, marketing, and marketplace connection to help drive your business growth. For other choices, browse these viable Rakuten Super Logistics alternatives here.